A decade ago, Niki Bell's life changed forever after a boating accident. It’s been a decade since the accident, but Niki Bell lives with the aftermath — and anger — every day. The Paradise, California, woman was 23 when she went wakeboarding with a bunch of college friends. Several crowded the front of the boat. When the driver turned to pick up a fallen wakeboarder, the bow dipped below the water. Bell was swept overboard, pulled under the boat. The propeller clawed into her head over and over. A jury found the boat maker — MasterCraft — 80 percent responsible for the accident, and the driver 20 percent. Bell’s lawyer argued the 24-foot boat’s design made it easier to swamp — or fill with water. The jury awarded Bell $30-million dollars. MasterCraft appealed, but eventually settled without admitting liability. Bell’s attorney argued that MasterCraft had not performed adequate testing of the boat and had not warned users about how passenger weight should be distributed. Consumer safety expert Sean Kane said there is little oversight of the industry. The Coast Guard is the agency to set federal regulations — dealing largely with safety equipment — but most boating standards are set by the nonprofit American Boat and Yacht Council, or ABYC. Boat manufacturers pay a small fee to belong and be certified. Adhering to the council’s safety standards is voluntary. The ABYC insists that it is made more nimble and not bogged down by the slow gears of federal regulation. But the family of Ryan Batchelder says boat makers are not acting quickly enough. The 7-year-old Florida boy was killed in 2014 when — according to a recently filed civil suit — the rented Malibu boat he was riding in crossed the wake. The bow dipped under water and he was washed overboard. His body got tangled in the propeller. He suffered massive blood loss and drowned. The Batchelders are suing Malibu, claiming the design — the way it puts seats in the front of the boat — was flawed. In videotaped depositions, Malibu executives said adding the extra weight to the front of the boat was a concern and they tested it thoroughly, but could not produce documents to prove testing was done. “There’s no one that requires that they do other than the fear of a lawsuit or the fear of losing a customer," Aedy said. Malibu maintains that the boat was safe. They said the boat was operated by the original owner for 14 years and used by a half dozen other families — before and after Ryan’s accident — without incident. “It happens a lot. A lot more than it should," said Jay Deal, a safety instructor with New England Maritime, about the risk of going overboard riding in or on the bow. 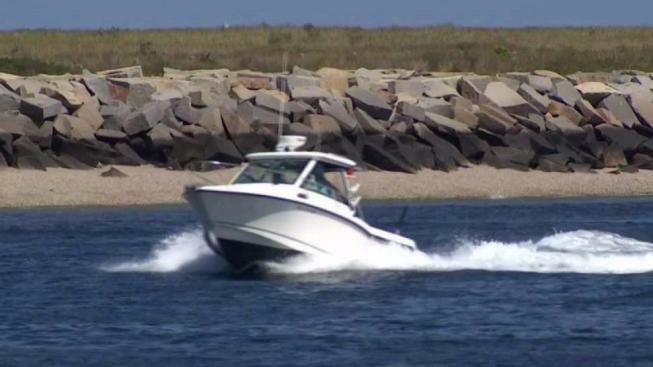 He thinks it should be mandatory for every recreational boater to take a basic safety course to operate in Massachusetts, but it’s not. The ABYC said it is now considering adding standards that would require labels on the bow of boats, showing operators how much weight can be up front. But again, those standards are voluntary.